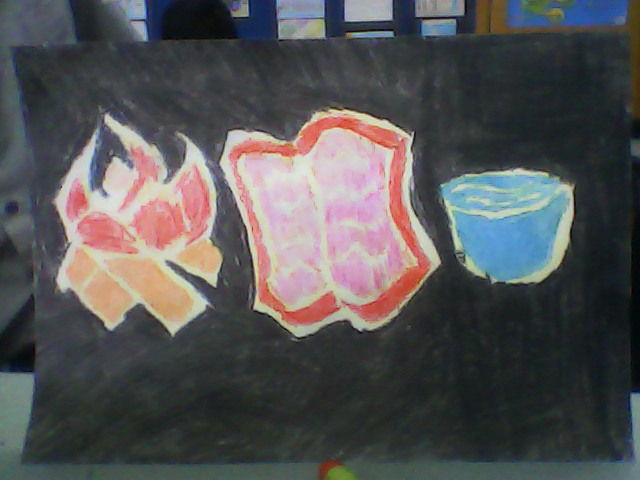 In Art I am doing a crayon and dye and it is about the Triduum of Easter. The three symbols that in this picture there is a fire representing the light of the world. The bible represents the Liturgy of the word. The bowl of water represents the waters of Life.